If Your New Car Doesn’t Get the Miles Advertised, Can You Sue? So, your shopping for a new car, and miles-per-gallon is an important factor in your purchase; for many reasons this is what folks look for. 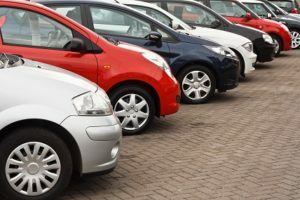 However, suppose you buy the new car to get you back and forth to work, but the advertised mileage is not as advertised – what can you do? Heather Peters is one such customer. She has to drive a relatively long distance to work every day, and she doesn’t want to pay an arm and leg to fill up her gas tank. The sticker on her new Honda and in the brochures advertised 49 mpg in the city and 51 mpg on the highway. However, Peters noticed that she never got more than 42 miles per gallon driving on the highway to work and back. This wasn’t too bothersome for her, and she continued to take her car to her Honda dealership for regular maintenance. In 2010, two years after buying her car, she received a notice from Honda that there was a free software upgrade from the company to “help prevent battery deterioration”. After the upgrade, her mileage became even worse, to the point that she was only getting 30 miles per gallon. Shortly thereafter, she received notice of a class-action lawsuit against Honda. Apparently, she wasn’t the only consumer displeased with this problem. The suit promised up to $200 to each dissatisfied consumer. Peters then decided to take her case to small claims court. She represented herself in small claims court where, in California, attorneys are not allowed to argue for clients in the small claims court division. Honda, sent an employee to argue that the carmaker had not violated any laws. So, is Honda liable for lower-than-advertised gas mileage? After being awarded almost $10-thousand in Superior Court, Peters saw it stripped from her in an appeal, and she wound up paying a fine of $75 to Honda. What do you think? Should the car company be held liable for false advertising?